Internet is filled with a variety of quality resources, that extend human capabilities. Basically, they are necessary to simplify and ease of operation. But some have become so obydeny for man, it is impossible to imagine life without them. Nearly every Internet user has a private mailbox, which you can use to communicate with friends and colleagues, as well as to register for third-party sites. 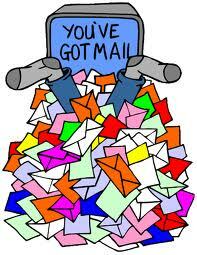 But many people need an additional email address, to somehow filter the flow of incoming messages. This article analyze, how to create a second mailbox, and that this will require. Consider creating a new account on the example of one of the most popular search engines. Registration on other sites will differ only in some details, basic settings and parameters will be the same. In addition to Yandex, You can use such popular systems, as the Mail.ru, Rambler.ru etc.. specialized services. so, to answer the question, how to create a second mailbox, you need to know the following information. First of all go to one of the proposed sites, in our case on Yandex. by the way, the service provider should be chosen, on the basis of the technical data, that you need for normal operation, this was discussed in the article. If you are already logged in to your old account, then you come out of it. To do this, click “Exit”. The main part of the procedure for creating a new account does not differ from the creation of the first mail. Note the area labelled “Start mailbox” and click on this link. After that the system will redirect you to the login screen. On this page, enter the required personal data, You can also follow text prompts. To ensure the highest security currently enter your real name and phone. In that case, if your password is lost, then you will be able to restore it, Using personal information. The next step Create a username and password, then enter them into the specific fields. Note, The new login must be totally unique. Otherwise, the system will display an error message. To speed up the process, you will come to the aid of a computer robot, which will generate unique usernames, you will only have to choose a favorite. For the password, there is a limit – it should consist of at least 7 characters of the Latin alphabet and numbers. Next, check the entered data will be held and the following screen appears. Select a security question and answer. By this step should be treated with special care, tk. when choosing easy answer, your account may be compromised by an attacker. Besides, the question itself, you can also come up with. Enter your real phone number, which is also required when restoring access, if it is needed. Note, that you can choose from recovery options – “secret Answer”, “Mobile phone number” and “Additional e-mail”. It remains only to confirm, that all the information introduced people. To do this, check the box, thus agreeing with all the rules of the system, and enter the captcha. Congratulations, Now you know, how to create a second e-mail. It remains to enter your login and password, which will open the page with personal data. Here you can once again make some settings.